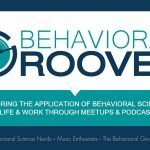 Behavioral Observations from the Road: Denver Airport – Behavior Matters! Humans are interesting, they are quirky, they are irrational. We think we know what is best for us. Often, we even assume that we KNOW what is best for us. The funny thing is – our behaviors do not always align with what’s best. I recently observed an interesting example of the irrationality of human behavior while traveling through Denver International Airport on the way to meet a client. If you see two lines moving at a similar pace between you and your destination, one long and one short, which do you jump into? I would get in the short, as I am betting you would too. Who wants to waste time waiting in line? Let’s throw a wrench in the gears – the longer line is the VIP line. You paid $180 to be in it and it’s the line you jump right into every time you get here. You also get to avoid one quick and simple task that your counterparts in the short line must do. Keep in mind, the short line will still get you to your destination in less time – perhaps as much as two times quicker. Which line do you get in now? So now let’s explore that funny little scenario I observed. Typically, upon arriving at the airport I run into a decent line to get through security. It’s the annoying but unavoidable ritual of travel that stands between me and the pre-flight beer that will make my middle seat less miserable. Admittedly, yes, I should have woken up at 3:25 am to check in, but at the time my seat choice did not seem as valuable as sleep. I am a victim of my own time discounting. Our present-self fails to accurately predict the preferences of our future self and we at times value the ‘here and now’ over the future – even if it’s not worth more. Usually, when I am standing in line I glance up from my ‘boredom social media surfing’ and see a smaller group of people whisking past security: no wait. I make a mental note to sign up for TSA pre-check, global entry, or CLEAR (the fast-track, pay to pass security programs). Inevitably I forget to act on it and end up in the same spot a few weeks later, lamenting my negligence. As I walk into the airport for this trip, however, I am confronted with a far different experience. The line for the CLEAR program is long. Rounding the corner, I dread the security line I am about to see. To my pleasant surprise, I find that it is almost non-existent. Surely, I must be tired and mixing up my lines? So here I stand, looking at an almost empty security line and a significantly backed up CLEAR line. I can’t help but wonder “why”? I have never used CLEAR but from my research it appears that you are still required to go through regular security (e.g. remove shoes, laptops etc.). 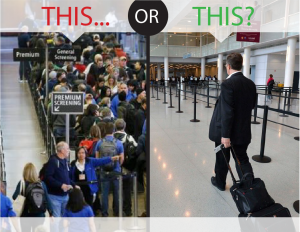 The difference appears to be that instead of waiting in line for the in-person ID and ticket check, you simply go through a fingerprint scan and then jump the line directly into the TSA screening (editor’s note – please reach out and correct me if you are a member and my understanding is incorrect). 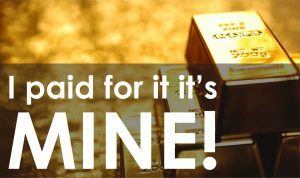 We ascribe greater value to things that we own. CLEAR is a program that you pay for, it costs $179 per year to become a member – this purchase prescribes ownership. Subconsciously there is an “I paid for it, I need to use it” attitude that drives the behavior of jumping into the longer line. Because of this; the user neglects to weigh the ACTUAL value of the investment with the time that would be saved by hopping into the regular line. This leads to my next point. 2. We have an innate inability to value time accurately. 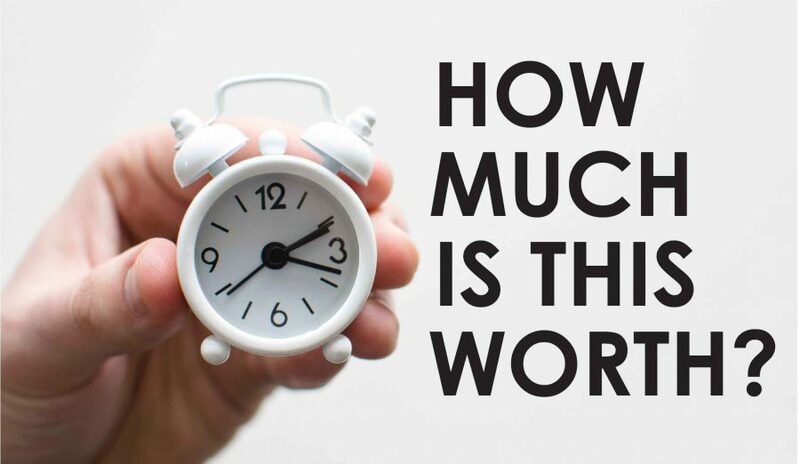 We easily prescribe value to things, but we have a difficult time accurately examining that same value in everyday time (unless of course we are billing and invoicing). 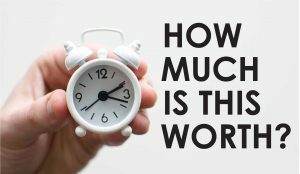 Typically, professionals bill by the quarter hour, so the above numbers are the value that each of them would prescribe for that additional 15 minutes of time waiting in the CLEAR line in a billable environment. For the Lawyer, if that happens 2.4 times per year, then that time is the equivalent of what they paid for the program to begin with. We are habitual creatures. 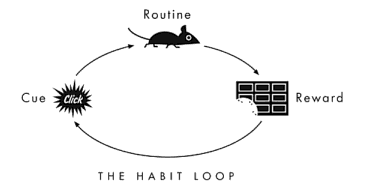 Charles Duhigg introduced us to the idea of the habit loop “Cue -> Routine -> Reward”. The idea is that when we come upon a specific cue, our brain automatically reverts to a routine that then provides a reward. This inevitably feeds the process, validating the cue and routine for the next go around. This loop clouds our ability to reassess that routine and break the cycle or act differently upon encountering that cue. Could the CLEAR line be this routine? The cue is entering the airport: the user sees the CLEAR sign, automatically walks up and enters the line, engaging in the routine. The user neglects to even assess that the normal security line is shorter because the habit takes over. The user goes through the line, is rewarded by the CLEAR agent who escorts them to the front of the screening area and is blissfully satisfied without ever recognizing that, in this case, they would have benefited from breaking that habit. Every time they get to this fork in the road they step into it without thinking. It’s automatic. Agree, disagree? Reach out or comment with your thoughts, conjectures, or input!! 1. Duhigg, Charles. The Power of Habit. Random House Trade, 2014. IC Directors – Make APRIL Count! Hmmm….may an amateur quibble a bit? Perhaps a more accurate measurement would be a random sampling of wait times rather than the single “n” sample size. It’s probable that the CLEAR line on average provides its users with more time to leverage than the poor sops in the plebeian line. Beyond that, though, is the single measurement of a monetary value to time. A professional gaining a quarter hour of time at the airport may or may not utilize that quarter hour to produce value for a client or be “billable.” Just as plausibly, that professional uses the quarter hour advantage for R&R which is less available to the unwashed in the regular line. So the time value is not merely monetary but rewarding in stress reduction, mental health benefits and/or personal edification. All of which carry potential cumulative and/or exponential benefits which cannot be measured in traditional monetary values.